This morning I decided not to have my usual breakfast, avocado on toast. 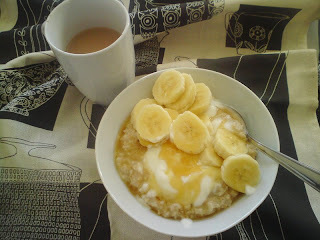 Instead I made oats with a dollop of yogurt, a sliced banana and honey and of course a cup of tea. Note my skinnylaminx tea towel in the background! !